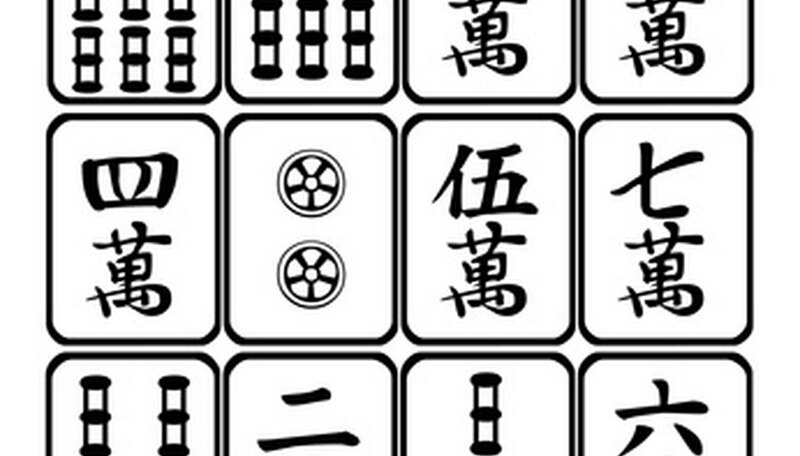 Mahjong solitaire is a single-player game played with mahjong tiles. The tiles can be stacked in a variety of formations. In any layout, the goal is to clear the table of tiles by removing matched pairs. Tiles can only be removed if they are exposed, meaning that either the right or left side of the tile is free and is not touching another tile. Mahjong solitaire is a very tricky game to beat, but some time-tested strategies can help increase your odds. Before making any move, take a few moments to look over the entire board. Familiarize yourself with the different suits. Most tiles require an exact match, but the seasons and flowers suits do not. In these suits, you have four different tiles, each of which can be paired with any other tile in the suit. Each tile appears in the set four times, meaning that there are two pairs in every design. Even if a matched pair is visible, it is not always the best choice. After you have found two tiles that match, scan the board to make sure that a third or fourth matching tile is not available as well. Plan carefully in the case of three matching tiles, as the wrong pairing could end the game early. Identify the location of the fourth tile if possible and make sure that the tile you leave on the board is not blocking it, making the match impossible later in the game. Each tile that is removed from the board should ideally open up at least one more tile for play. The most advantageous moves are those that open up two or more tiles for play. Begin by removing tiles that are on top of a tall stack or at the end of a long row. The first available pair you see is not always the most strategic choice. However, if all four instances of a given tile are available, remove them immediately to open up the board. Consider your plan of action several moves ahead. Identify tiles that are blocking two or more tiles. In the common pyramid layout, the tile on the top is blocking four tiles and is a very advantageous piece to remove. Find the matching tile for one of these useful pieces and consider all the moves needed to release the tile if it is blocked. You may need to work backward for several moves, but this type of carefully planned game play will prove much more useful than simply removing pairs as soon as you find them. Beware of computer-generated suggestions. If you get stuck in an online game of mahjong solitaire, you can often get a hint from the computer. However, this hint may not be the best possible move. It is simply the first pair that the game found, not necessarily the only one available.